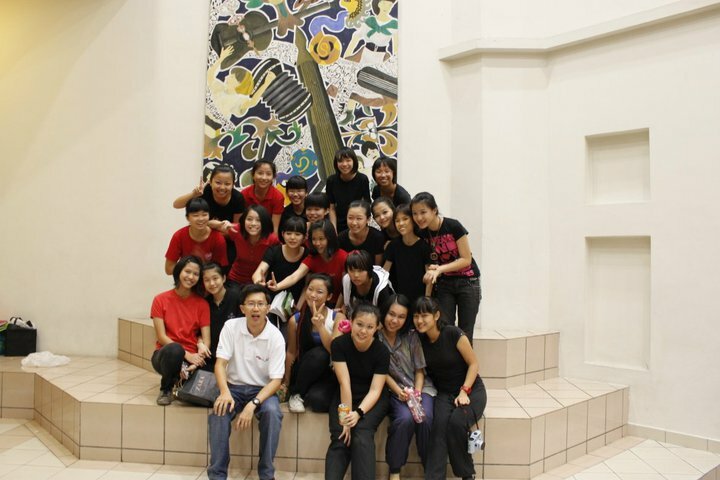 Looking at these FB pics all from Xuan Li I am reliving post-Dramafest moments -sheds a tear-. And okay... 90% of you who read my blog also are my FB friends (MAYBE I SPOKE TOO SOON -cue tensiony music-) and can access them, so... WHY AM I DOING THIS AT TEN THIRTY AT NIGHT? I don't know I just like captions -glare-. And for Roob to see, since her FB = nonexistent. We were standing around excitedly. This was the part where everyone was like "omggggg is this rilly happening" and... I would like to draw your attention to Hui Ting's Attitude (i.e. "what you want"). We ascertained "ya this is rilly happening" and someone other than me got sensible (Xuan Li's mum!) 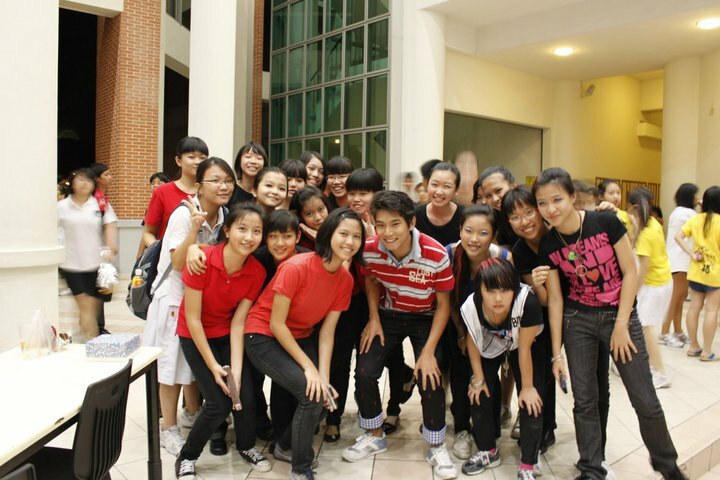 and decided that we should totes take a photograph and Jae Leung was nice enough to agree to it! BIGGER! I don't know what I did that for since it's still this quality ._. 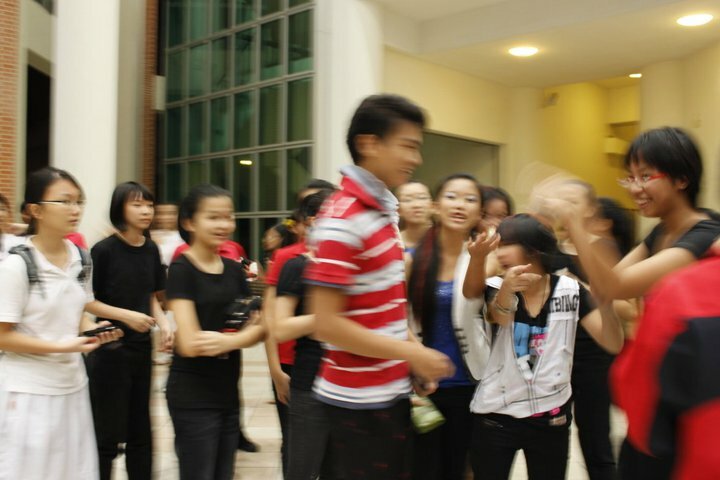 My hands are blurry ): but Yi Xin is still in character LOL. And another! 213 + JAE LEUNG = MANY PHOTOGRAPHS. 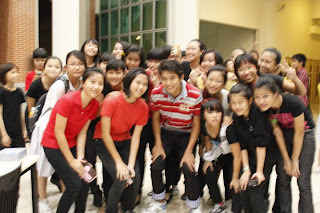 Finally Jae Leung is not terrorized by us/he was swallowed up and away from sight by a horde of fanschoolgirls. Anyway Mr Tan's classic expression is right here ^ CLASSIC, YO. 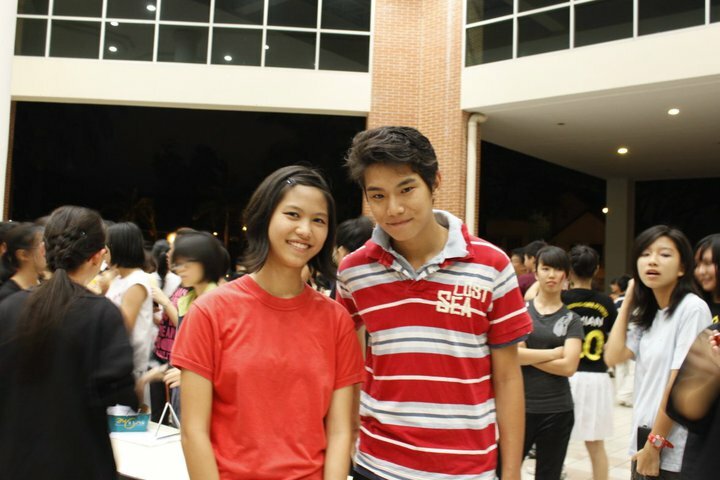 THIS IS XUAN LI WITH JAE LEUNG. This is Xuan Li and her parents and that dude I cannot recognize anymore. 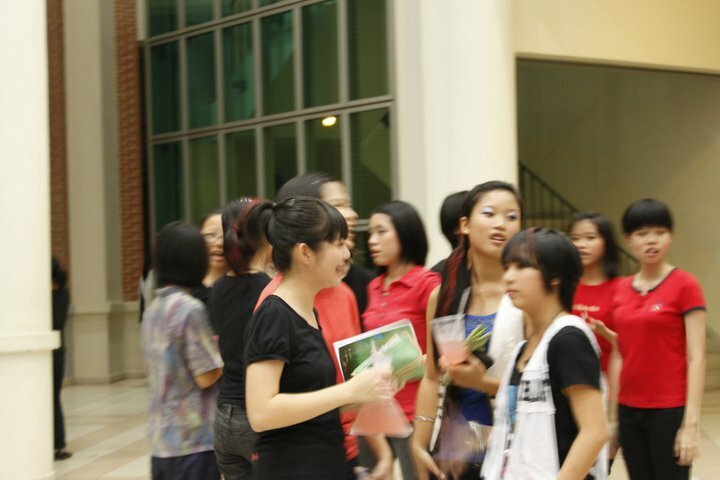 I feel like a stalker omg I am not even in this photograph why am I posting it on my blog. Okay I censored it I Feel Better. Some scenes from other plays! (Y) I like Luna! Also Maya = Brad Pitt = win. 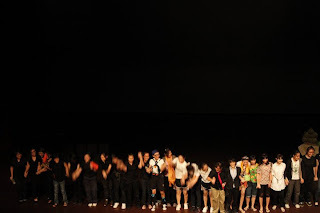 This is their curtain call. 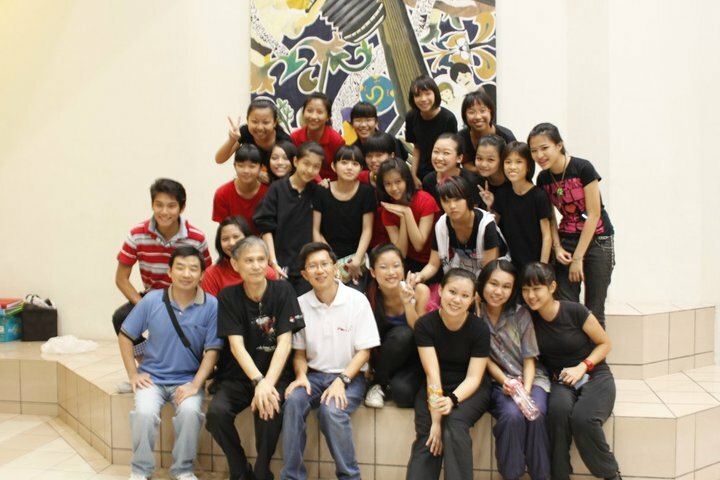 PLEASE LOOK AT KHENG FANG. Here, I even made it bigger. KHENG FANG! Spot her! ^^! Okay it is 11 I shall sleep nao. AND WATCH YOUTUBE TOMORROW. Also lots of people are having birthdays soon! Sabrina my mother JYM! Aha. Also O's (I am not sure where to place the apostrophe) ): Jiayou ma'ams! LADEEDA the medicine is not making me drowsy MEBBAY MAYBE I OVERDOZED! HAHA UNINTENTIONAL PUN. OMG I R SO WITTY! I meant overdosed, beeteedoubleu. OhmyGod something is wrong with me -cue O_O expression- -cue horror music- -cue... anticlimatic moment-. Perhaps I need some sleep. Possibly.